Shop now for the best business client Christmas holiday gifts on sale. The Gift Planner is offering discounts on any holiday orders placed in September. Save money and plan ahead for the Christmas Holiday 2018. season. Feel free to shop The Gift Planner online store filled with a huge selection of Holiday gifts for clients, employees, family and friends. Only here at The Gift Planner will you find the best client Christmas holiday gifts on sale. All year long we work hard to offer new unique one-of-a-kind gifts. Our specialty is creating gifts that make you look good and stand out above everyone else. Creative business gifts themed for your company and industry. Creative and adorable gift ideas that are filled with delicious chocolates, cookies and nuts. These gourmet treats come in useful themed keepsake products. Personalized with your logo and message. Made and decorated in your corporate colors. These holiday gifts will let your recipient know how much they mean to you! Unique one-of-a-kind holiday gifts. Perfect for clients, employees, family and friends. A large selection of food gifts perfect for the holidays. 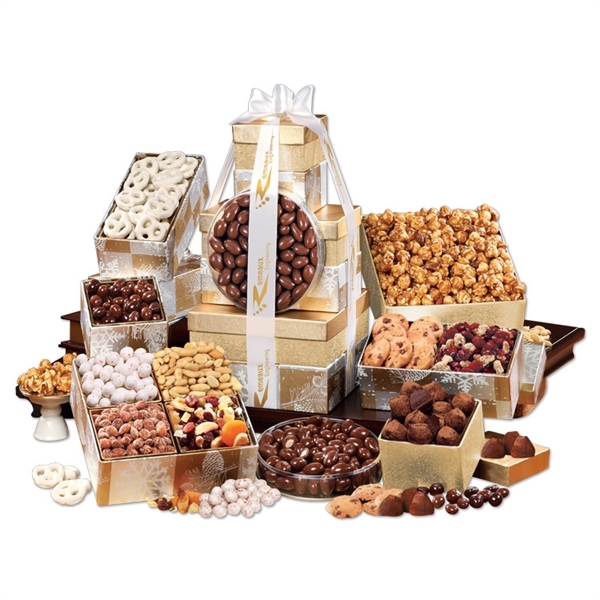 Choose from gift baskets, gift towers or chocolates. Let us customize your gifts and create the perfect gifts for your company. Call us today at (602) 526-0963 or visit The Gift Planner website. One of our most elegant and delicious gifts is the Holiday Delights Tower. This gorgeous tower is perfect for a large office! Six stylish keepsake boxes overflowing with delicious gourmet treats. Chocolate Covered Almonds, Cocoa Dusted Truffles, Virginia Peanuts and more. Tied with a white satin ribbon foil-stamped with your logo in gold. Your clients who receive this gift will know how much you appreciate them. Tower measures over 7 inches x 7 inches x 13 inches. 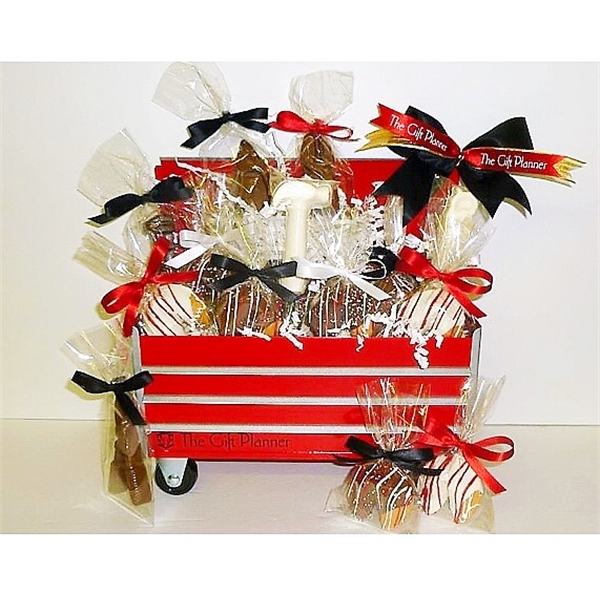 A gorgeous and delicious holiday gift tower that is perfect for any large office!